Be careful out there! You're in the LIVE environment. Read-only Your current user permission setting does not allow you to modify or update this page. Who is implementing content optimization on the client's site? Should the system automatically send onsite optimization emails? LaunchPad will not send automatic emails to this customer. On approval of the Onsite Recommendations, send them according to the partner procedure. Which of the following images would the customer like updated? Are we marketing a business or individual? Does the customer want a call-to-action added to their Facebook page? How does the customer want their name on Facebook to appear? How does the customer want their name on Twitter to appear? What website does the customer want associated with their Facebook and Twitter pages? Specify special consideration for social content. What optimization information does the customer want updated? This page cannot be deleted until the sub-pages are removed. Pre-Owned Domain: The domain was previously registered by the customer, so you must manually configure this domain. The Website Host does not support domain registration, so a pre-owned domain must be used and manually configured. This Website may need to be restored. Restoring a site will overwrite the existing content. Do you want to re-assign these customers? Please exercise extreme caution while using this tool. It not only resets the website for a Customer, but also permanantly deletes all historical data related to the previous website including Actions, Website Analysis, Ranking and Analytics Access. This screen allows you to assign selected Ticket Types to members of specific Teams. Please be aware that this action cannot be undone. In order to proceed, please install the latest version of one of the web browsers below. Send the Welcome Call Email to the Customer? Is this a recommended keyword? No new or active keywords. Read-only You cannot edit this task. It is currently in progress. This task is from a previous financial month. Only certain fields can be edited. Category Settings - SEO hours are not available for allocation while an SEO order(upgrades, boost hours, adjustments) is being processed. Wait one minute and then click the "refresh" button above to try again. Check if Customer URLS are reachable at renewal? Remember to configure the products in the Billing and Products screen after activating the customer. Partner Full White Label Support? There are unsaved changes! Click "Save" to keep. External Logins Notice All password retrieval requests are recorded for security purposes. Will the customer share their logins? You have not yet granted access to Google Analytics data for this website. Please follow the appropriate instructions below. A similiar screen will appear. Please pick the account you want to associate with . A similiar screen will appear. 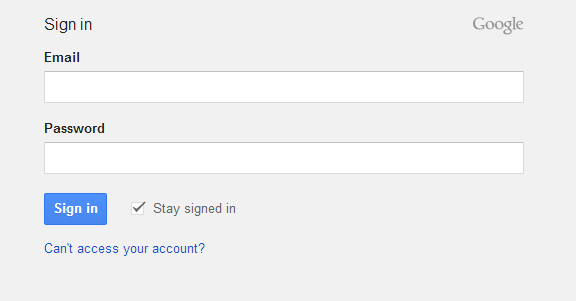 Enter the email and password for the account and click "Sign in". Review the information on screen and click the "Allow access" button. Congratulations! You have granted access to your Google Analytics data. See real time data in powerful reporting tools. See how much traffic your site is receiving and where it is coming from. Monitor which pages get the most visitors. What is the main reason you are ordering this copy? Duplication: At least 50% of the body copy on this page has been duplicated. The partner/client has requested new copy for this page. There is a ranking issue with the site and it has been determined that better or more substantial copy is needed on the page. The client is creating a new page on the website and needs new copy for it. There are less than 100 words of copy on this page and we need more substantial copy. Will Boostability implement this piece of copy? Note: You must first click the Calculate button before saving. A monthly recurring hosting fee will be billed to each BoostSite customer beginning the month after purchase. This charge will appear as BoostSites Monthly Hosting Fee in the recurring products above. Customer does not qualify for a Yext Subscription. Yext Subscription summary did not load. Does this customer want Boostability to publish Onsite Blogging Copy on their behalf? Who set up the customer's blog? Notice All password retrieval requests are recorded for security purposes. Please indicate if the following industry practices are allowable on the customer's blog. Will the blog allow reader comments? Besides bringing traffic to the customer's website, what is the goal for their blog? Does the customer have a storefront? Audience—Describe your customer's typical audience or customer base (age range, gender, geographical areas, single vs. family, and so on). Be sure to always include target age range and gender for customers who have Facebook Ads. How will Boostability bill this partner? Please exercise extreme caution while using this tool. This operation will merge Customer Details, Notes, Ranking History, and Task History. Warning: Upon clicking 'Merge Customer' the customer that is inputted in Source Customer Id will be Canceled. This merger CANNOT be undone. You do not have permission to merge accounts. NOTE: By default, customer users setup in Tier 1 partners will be contacted by our customer service staff. Also, by default, customer users setup in Tier 2 partners will NOT be contacted by our customer service staff. NOTE: This determines the countries that the Partner's customers can be assigned to. NOTE: Once this field is set, it cannot be undone. NOTE: All billing is done is USD, this field is for finance / reporting purposes only. NOTE: If a partner is live, then active customers will be inserted in this partner, work will be fulfilled on, and the partner will be invoiced for that work. If the partner is not live, then the partner exists for development purposes. System emails AND Reports may be sent from Boostability? This partner has a BoostSite product. You must configure the appropriate host(s) below. Partner requires access to API Reporting? Partner Requires White Labeled PDF Reports? Caution ACH is not supported for billing. Please do not select the Bank Account payment method. Are whitelabel elements setup and ready for the partner to be created? Allow all price levels Note: If No is selected, the default is to allow one price level below what is recommended. No more data is required for this user. It looks like this user doesn't have a Customer Service user level. This can cause issues when trying to open and work with a Customer. Warning: Uploading will deactivate all existing registration numbers. Please exercise extreme caution while using this tool. You do not have permission to transfer accounts. No rates. You must add a rate. Distribute commission to other users? Review keywords and areas discussed with the customer and place information in a note below. Please provide feedback below to assist our team in getting your campaign started. This tool is a pricing estimator, the current version of this tool is optimized for speed and ease of use. The internet changes all the time, the tool is designed to give pricing estimates based on the current state of the internet as seen through the eyes search engines. 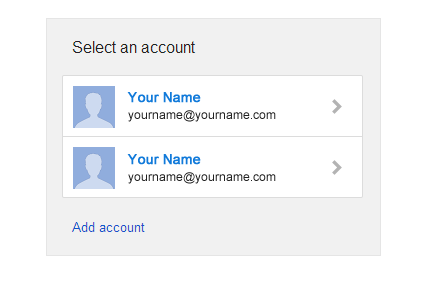 Please enter the email address you use to sign in to your account. The Blog is currently being migrated! Did you verify with Google that the Customer's address matches the City/Zip provided? If a Customer chooses to not display their address, published listings may be limited. Please choose a service area. Does this business have a service area? When using City please provide the city followed by the state abbreviation (ie: Provo, UT). *Note: To show that the business is closed set both the open and close times to the same time. Additional Information: qualifications, certifications, awards, and so on.